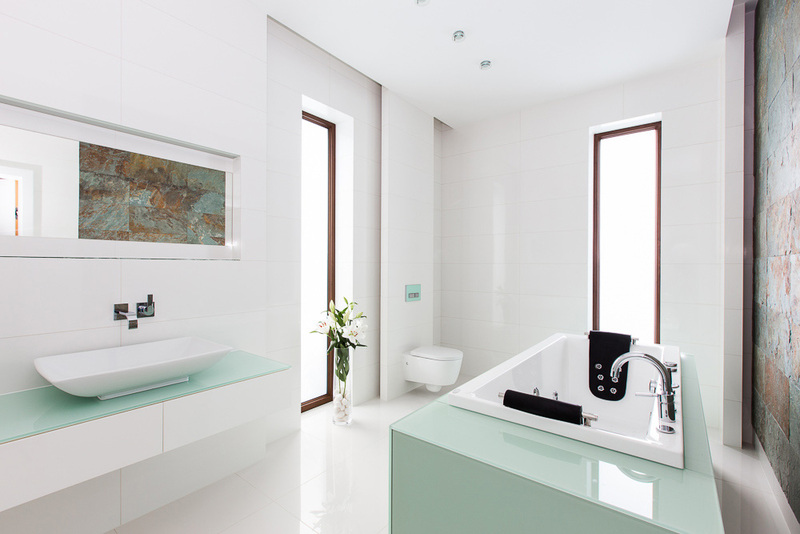 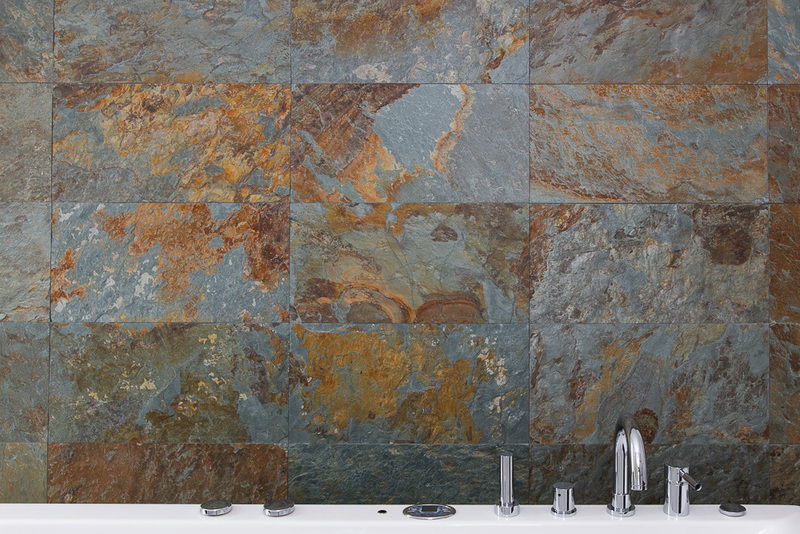 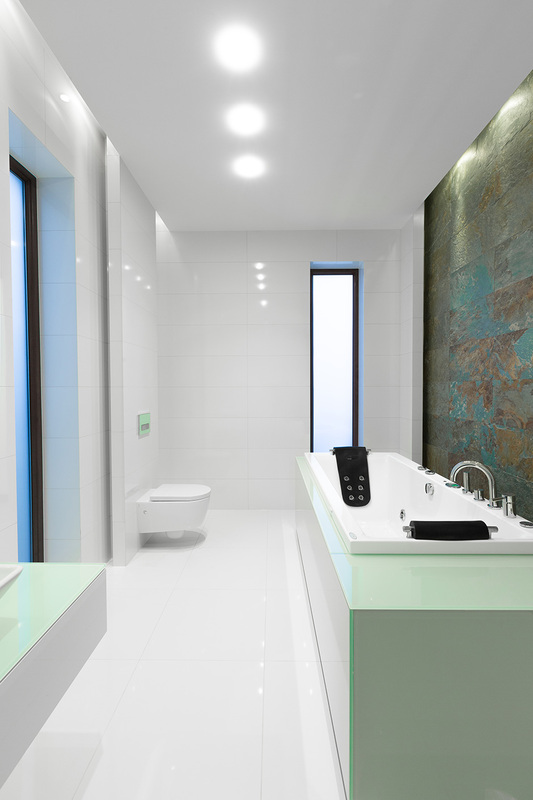 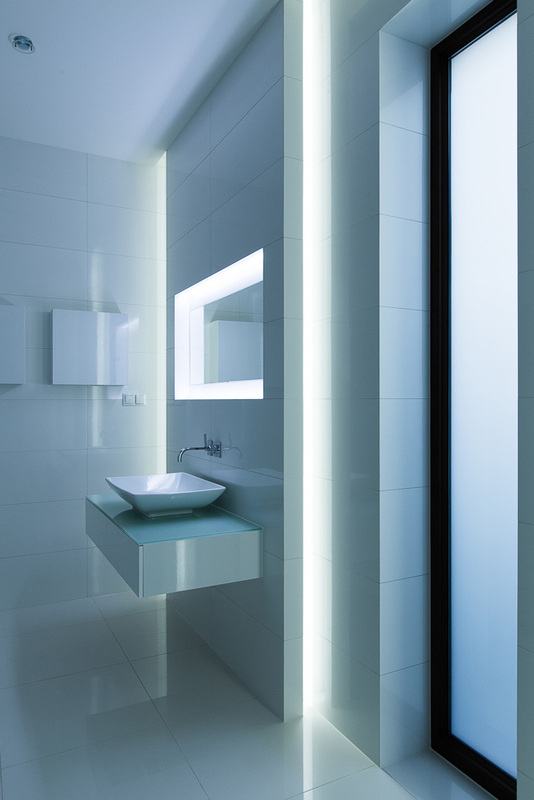 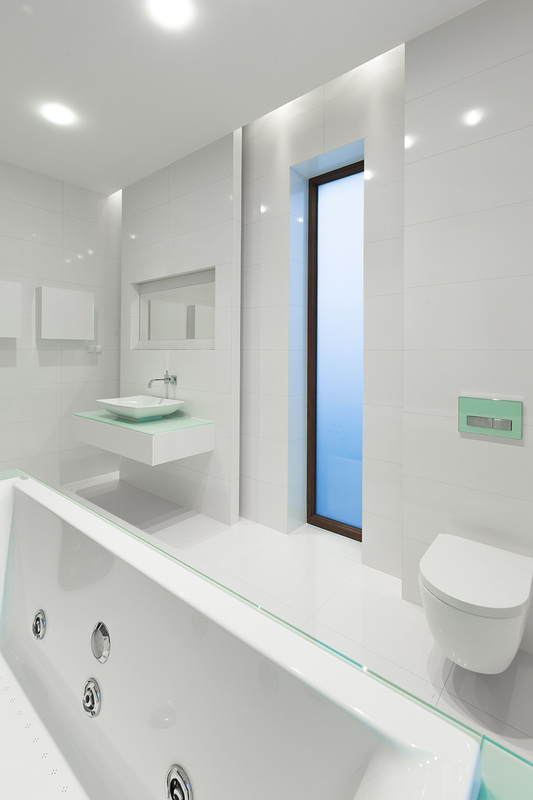 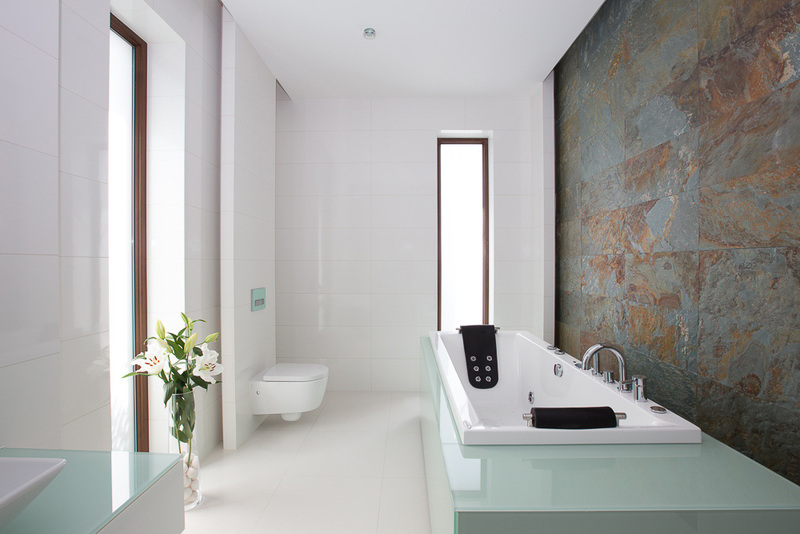 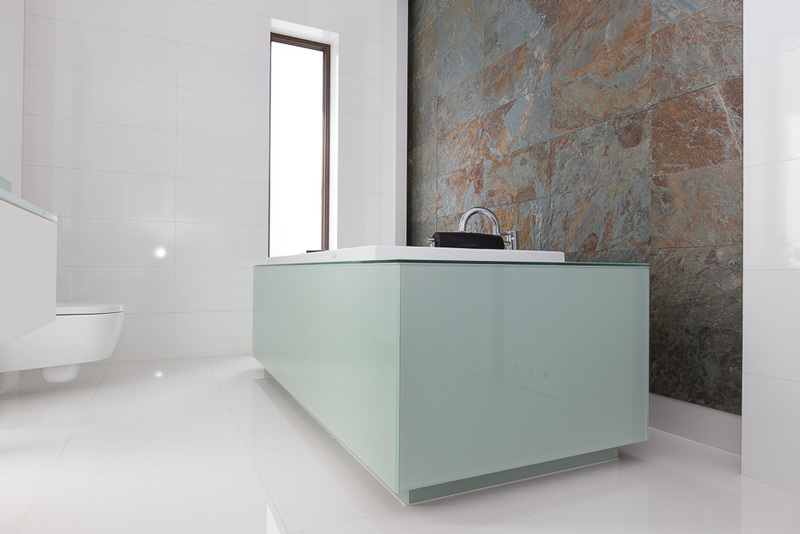 The main client objective was to obtain a bright, open and timeless bathroom interior. 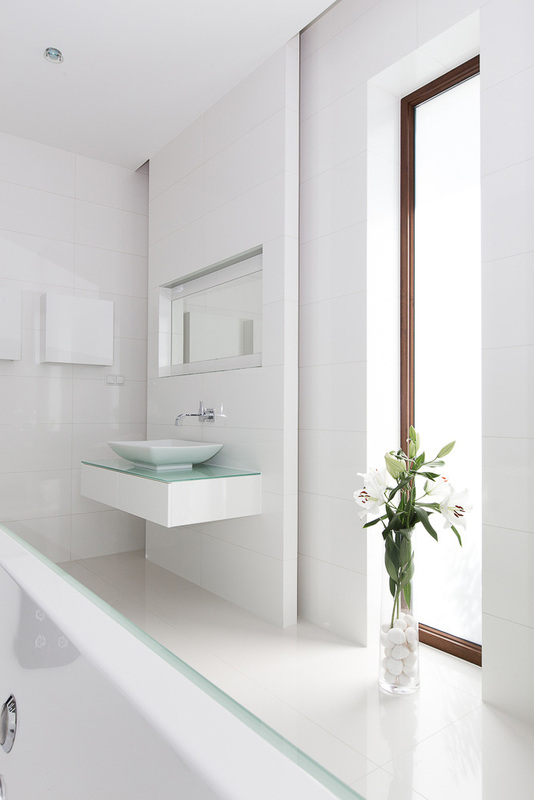 With this in mind, a pure emanating white space was created with well-defined functions. 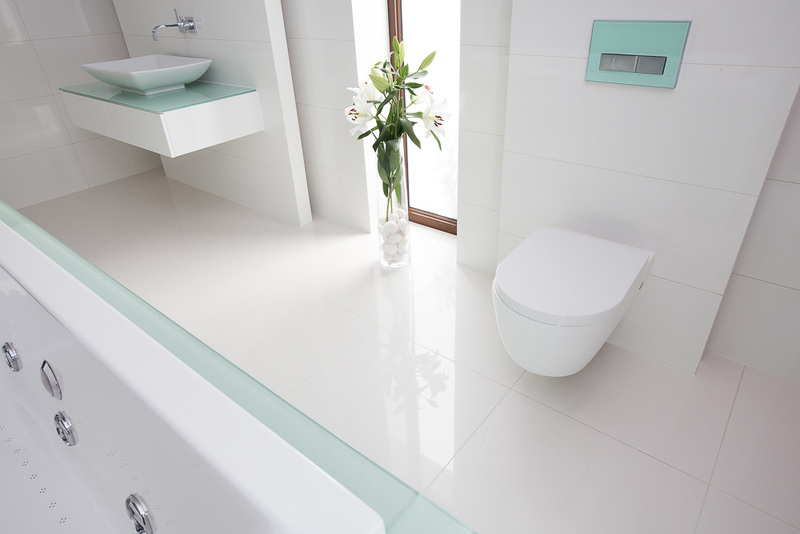 Mint colour painted glass specify each separate sanitary area. 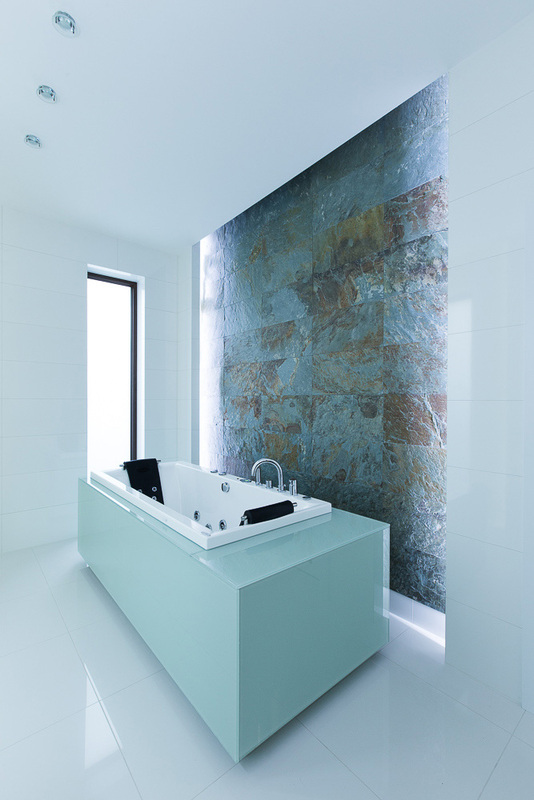 Uniform, white reflecting walls emphasize the natural Spanish slate stone behind the bathtub, creating a spa-like bathing area atmosphere encouraging relaxation. 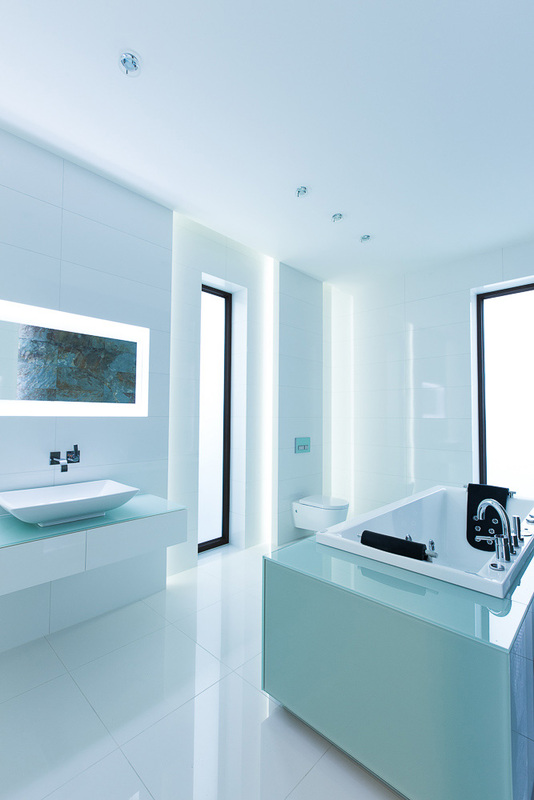 The lighting designed plays an important role within this interior allowing the user to complement their mood with a flexible choice of lighting colours and tones that can dramatically change character of the space.